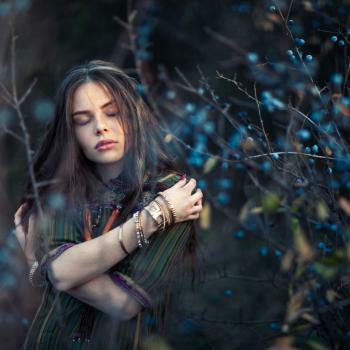 “Traditional Witchcraft” is a term for witchcraft practices and metaphysics that are known from non-Wiccan, pre-modern, and pre-industrial revolution era sources – or in other words, the witchcraft of folklore. 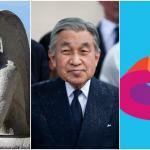 However, the term “traditional” has subtle layers that must be carefully understood. Most “Traditional Witchcraft” practices still extant in the West are not “handed down” from older pracitioners to younger ones (though some are of course). The term was originally meant to differentiate these practitioners and these patterns of witchcraft-related metaphysics from Gerald Gardner’s Wicca. The term “British Traditional Witchcraft” was introduced by Alexandrian and Gardnerian Wiccans, largely as a means of asserting that they, too, should be rightly considered “traditions” by virtue of possessing initiatory descent from tradition founders in the modern period. 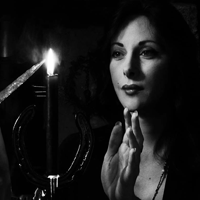 Beyond the original definition given, traditional witchcraft is also used to define non-Wiccan traditions of Witchcraft born from the works of folks like Robert Cochrane, Andrew Chumbley, Austin Osman Spare, Kenneth Grant, and Paul Huson. 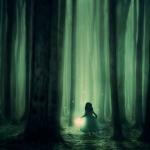 Beyond this, most Trad Craft authors and practitioners are reconstructionists of a real kind, digging up the witchcraft and folklore practices of the past, constantly doing in-depth research on various witch-trials, as well as utilizing direct transmission from spirits and deities about their “nameless art”. Where does one begin learning about Trad Craft? I decided to reach out to some of the most prominent Trad Craft authors and practitioners of our day to ask them which books they’d recommend to beginners who are interested in learning about Trad Craft. 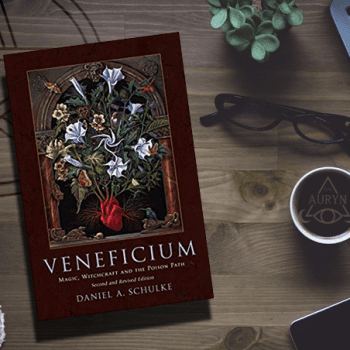 Daniel Schulke is the current Magister and Verdant of the Cultus Sabbati. 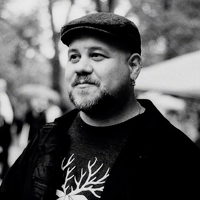 He is a writer on the subjects of folk magic, comparative religion, and occult herbalism. His essays have appeared in the prominent occult journals Starfire, The Cauldron, and Abraxas. 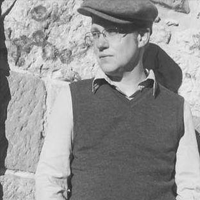 Schulke is the general editor of the Western Esotericism in Context book series. He is the author of several books including Veneficium, Idoltary Restor’d, Thirteen Pathways of Occult Herbalism, Lux Haeresis, Viridarium Umbris, and Ars Philtron. 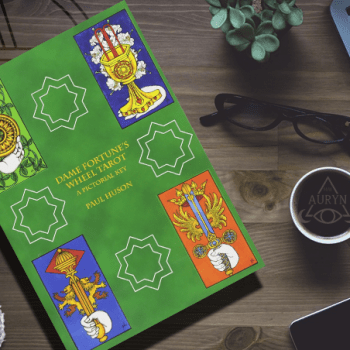 His forthcoming title, The Green Mysteries is an occult herbal 25 years in the making. He is the proprietor of Three Hands Press. The relationship of books to English folk magic, including the sorcery later categorized as ‘witchcraft’ is a close one historically, as magical information and formulae considered worthy of publication was held in high regard by practitioners and in many cases possessed the quality of a talisman. The most essential book resource for the traditional witchcraft initiate is arguably the Holy Bible, in either the William Tyndale translation or that of King James. This would closely be followed by the continental grimoires and cunning-folk texts in museums and private collections. Regarding the late 20th century phenomenon known as Traditional Witchcraft, the following titles are recommended, being specifically concerned with that subject. These contain the more important essays by Andrew. Some of the essays concern Traditional Witchcraft in general, while others address specific aspects of the Sabbatic Craft, a recension of Traditional Witchcraft propounded by the Cultus Sabbati. The only extant anthology of articles on traditional witchcraft, by both scholars and practitioners alike. These are the collated letters and articles of Bill Liddell, who detailed, sometimes in contradictory fashion, the existence and practices of the Pickingill covens in and around Canewdon, Essex. 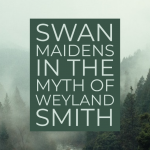 Liddell’s claims have been criticized by some, but the material is provocative and in some cases has definite links to other traditional witchcraft groups operating in the area. Its importance lies in the examination of important British lore constructs of misrule and their relationship to the embedded folk magic of Britain. Additionally “Call of the Horned Piper” by the same author is recommended as an excellent companion piece. Although the author has in recent years taken steps to distance himself from traditional witchcraft, and even his work on the same, the book perplexingly remains in print. Pennick does not use the term “Traditional Witchcraft” in his book on the magic traditions of East Anglia, but many of these magical spells and constructs permeate Essex, and are known to Traditional Witchcraft practitioners there. 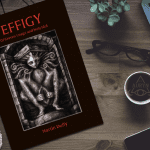 The book is valuable due to its cataloguing of the perpetuity of magical practices and secret societies up to the present day in rural England. 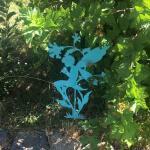 Gemma Gary is a writer, British ‘Old Craft’ initiate and devoted practitioner of the Arte Magical. Gemma lives and works in the far west of Cornwall and is the author of Silent as the Trees: Devonshire Witchcraft, Folklore & Magic, Traditional Witchcraft – A Cornish Book of Ways, The Black Toad – West Country Witchcraft & Magic, The Charmer’s Psalter, Wisht Waters – Aqueous Magica and the Cult of Holy Wells, The Devil’s Dozen – Thirteen Craft Rites of the Old One, and has contributed to various anthologies. 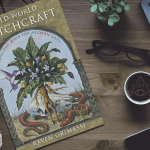 Picking just five books which would be particularly useful to people beginning an exploration of modern traditional witchcraft is really quite difficult. There are so many I can think of, and not all of them are necessarily about witchcraft; for example, I found the ‘AA (Automobile Association) Book of the Countryside’ very enjoyable! Sometimes it’s not always about the text; whilst at college I discovered Erica Jong’s book ‘Witches’ with its captivating illustrations by Joseph A. Smith. These for me were almost like meditational tools, conveying deeply something of the spirit of witchcraft. Sticking to texts though, I feel books which place an emphasis on practical working are particularly helpful to the beginner, so they can immerse their self in an experiential way. 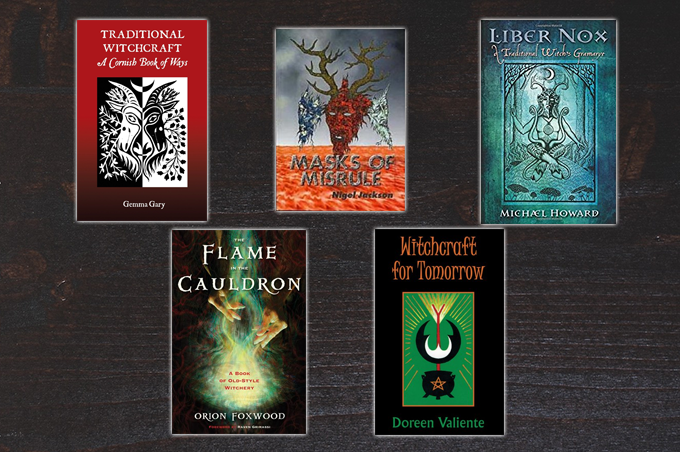 Books like Nigel Jackson’s ‘Call of the Horned Piper’ and Paul Huson’s ground breaking ‘Mastering Witchcraft’ convey each a potent Craft mythos and guide the reader into evocative examples of ritual and magic. Traditional witchcraft can be seen often to manifest in two (often overlapping) forms; the ritual witchcraft of covens/covines and lineages, and the operative, magical witchcraft of the lone practitioner. ‘Cecil Williamson’s Book of Witchcraft’ by Steve Patterson guides the reader through the magical technologies and spirit working of the ‘wayside witches’ as espoused by Cecil Williamson; who presented a very different vision of the Craft to that which would become mainstream. I remain very fond of Marian Green’s classic ‘A Witch Alone’ which encourages a deeply personal exploration of the old magical arts of the working witch alongside a relationship with the lore of one’s own landscape. Nigel Pearson’s ‘Treading the Mill’ is an immensely practical book through which the reader can get ‘hands on’ with the crafting of magical tools and substances as well as exploring ritual and ‘inner’ working. 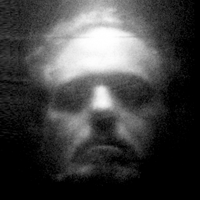 Robin Artisson is the creative director of Black Malkin Press, a small, independent, and semi-respectable publishing house for certain strains of occult literature and art. He is a member of Covenant DeSavyok, a largely off-grid initiatory working group of practitioners of traditional witchcraft and sorcery. Robin is the author of “Letters from the Devil’s Forest“, “The Secret History“, “Hands of Fate“, and the very recent translation of Havamal entitled “The Words of Odin.” His earlier works included “The Witching Way of the Hollow Hill” and “The Resurrection of the Meadow.” He has authored other books, some under other (undisclosed) names. He lives in New England, in the darkest of the hillside thickets, somewhere near the ocean. This question is impossibly difficult to answer. The reason why is because there are books that are crucial to understanding the inner reality of folkloric metaphysics, and without those, Witchcraft or sorcery as I understand it lacks its very soul. 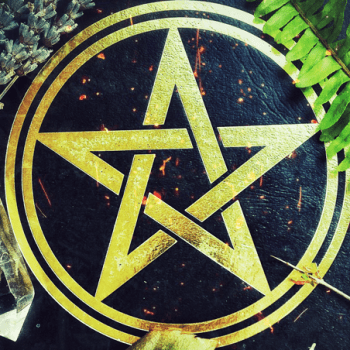 Then there are books on the tangible things of this world, like books of herbalism, the histories and geographies of places, or crafts like woodcraft that are inseparable from the lived experience of witchcraft and the source of its real power. Then there are books that may be described as “practical” guides- books where people talk about working tools, and rituals, and suchlike. I could fairly answer this question if asked to give five books from four different areas of knowledge. But since you have asked for just five, I gave them as best I could. 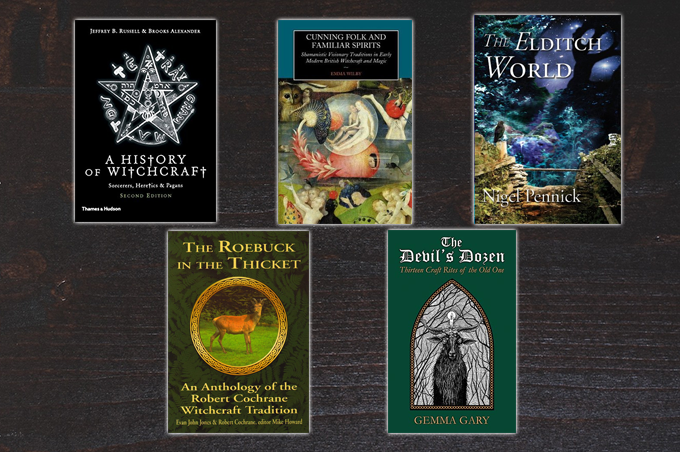 Cunning Folk and Familiar Spirits by Wilby gives the best description, in one place, of not only what history tells us about witches and their familiar spirits, but the worldviews that stood behind these extraordinary relationships. She talked about how these things were known, thought of, feared, and how these relationships operated. She talks about the clash between the older worldview and the newer ones that came to invade Europe and alter its physical and spiritual landscape so much. The value in this is immense. The Visions of Isobel Gowdie, however, is the single book that I would keep if my whole library had to vanish tomorrow night. It is, in essence, a doctoral degree between two covers in the study of “dark shamanism”- shamanic-type cultural operations and spiritual experience that deal with death and the realities beyond this life- and how that very universal aspect of primal human spirituality was operating in 17th century Scotland. This amazing book proves, to my satisfaction, that Isobel Gowdie wasn’t just a crazy woman lying to her judges and interrogators for attention. It proves that she was part of a witch-cult, and reveals how pre-modern witchcraft existed, how it operated, right in the heart of rural society. It has the power to terrify us, and it should, because the depths of what Isobel experienced are still alive and operating secretly right now. Claude Lecouteux’s amazing book “Witches, Werewolves, and Fairies” likewise proves (as far as I’m concerned) that the witches of the pre-modern period weren’t just making things up, and like “The Visions of Isobel Gowdie“, proves how central soul-flight or “shimmering” as we call it, was central to the Witch’s vocation and to the reality of Witching. Before Nigel Jackson went completely crazy and became whatever hybrid of Muslim and Christian he is now, and began calling for witches in the modern day to all be executed, his book “Call of the Horned Piper” was (and remains) the best simple introduction to the spirit of pre-modern witchcraft there is. In honor of his insanity and to spite his darkness, I’ve long had plans to write an equivalent book to dethrone it from that position. But “Call of the Horned Piper” has the perfect simplicity, the perfect length, the perfect folkloric darkness that conjures a real spell of memory in some people who read it. 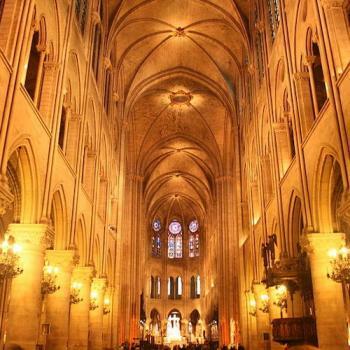 It establishes a spiritual aesthetic that by itself can channel the right kind of spiritual forces into a person’s enlivened imagination and life. I know it had that impact on me. “The Spell of the Sensuous” does more than just introduce people to Phenomenology (which is just the official philosophical name for the worldview that embraces our flesh, our blood, our breath, and our world as sacred and intrinsically important)- it has chapters that explain how our world and Western societies were hijacked and destroyed by idealism and world-transcending ways of thinking, which destroyed our Heathen and Pagan religions, which murdered countless spiritual-ecological or interanimistic practitioners of ancient spirit-arts, and many native cultures worldwide. There are chapters explaining the most crucial metaphysical understandings I can imagine- like the true nature of the Wind Indweller, whom I believe is the “Master” spirit behind traditional witchcraft- and helping people to break free of the anti-sensualist and alienating world we all live in. Paul Huson’s “Mastering Witchcraft” is incredibly valuable because he goes to Medieval and Renaissance sources for real historical spell-workings, and the sublime spirit they invoke is transformative all by itself. His practical instructions for how to accomplish these spells is as close to perfect as I’ve ever seen for a general audience. 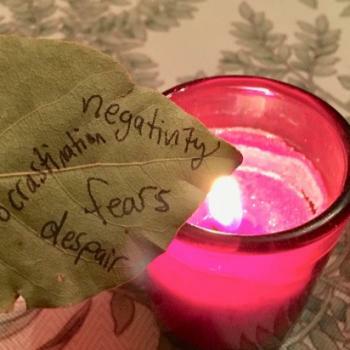 While he does rely on certain mainstream magical techniques (intent, visualization, etc) which I don’t personally find overly compelling, it still has enormous force for enrapturing a person’s will in the service of these workings. The latter part of this book does utilize many recognizable Wiccan elements, but somehow even they don’t seem offensive or “too borrowed” in light of the overall dark majesty that this book communicates. They seem to fit in, somehow. The mythos of the Watchers, which is given by Huson in the first part of the book, is likewise strangely seductive and fitting. It presents an alternative paradigm to the God/Goddess duality you see in so much modern witchcraft- an alternative paradigm which is more in keeping or more in sympathy, at least to my mind, with the dark spiritual ecology that is at the heart of real witchcraft. 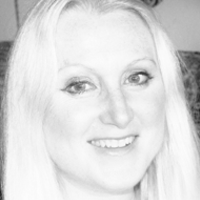 Shani Oates is an author, artist, seer. Amidst the Mercian Moorlands, her world is infused with ancestral lore. Craft Tradition is her life there; her spirituality is a Faith that inspires the magics that in turn en-fleshes the mystic and pilgrim within. 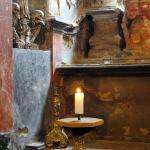 Her research into theology, philosophy and anthropology has deepened her engagement through their Mysteries proper. These disciplines have sourced her lectures at moots and Esoteric Conferences, serving further her role and duty as the current Maid of the ‘People of Goda, of Clan of Tubal Cain’. She is the author of many works including Tubelo’s Green Fire, The Arcane Veil, The Star Crossed Serpent I , II , III and IV, A Paean for Hekate, The People of Goda, Tubal’s Mill: The Round of Life, Tubal’s Mill: Legend, The Devil’s Supper, Crafting the Arte of Tradition and has written for numerous anthologies and periodicals. Choosing just five books to recommend from the vast array of published material is an impossible task. Even narrowed down into specific genres makes it no less achievable. There are so many factors to consider, particularly with regard to the level of experience and subjectivity of the reader. After perusing at least a dozen or so possibilities, I was finally able to narrow it down to the number requested, only when I re-considered the brief, which specified books on traditional witchcraft. Had that request been for traditional folklore, witchcraft, sorcery, trance-work, spell-craft etc, then the list would be very different. 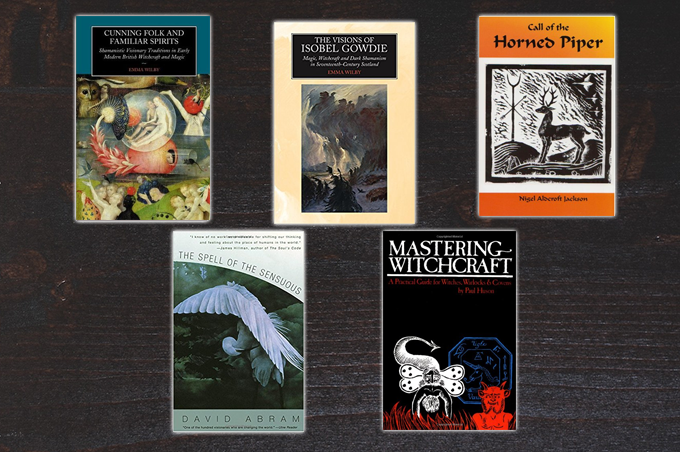 The five texts I have chosen are firm favourites of mine and amongst some of the most instructive, providing an understanding of what traditional Witchcraft is properly about. They are not easy reads by any means, nor are they generic. They are all chosen to challenge and provoke your beliefs – in some cases, to stretch you beyond them. None of them provide information on rituals, coven-craft, these are books that will shape your perceptions on your craft, from which you will understand then, how to craft your rites. The first is ‘Witchcraft and Religion’ by Christina Larner. Ms Larner is a personal favourite; her books cover the very roots of belief, faith, culture and the historical criminalisation of witchcraft. She studies gender roles and social diversity in relativistic and ethnocentric terms, raising questions on primitivism, revisionism and cultural appropriation – a very topical volume. My next choice is ‘Phantom Armies of the Night’ by Claude Lecouteux. Subtitled, The Wild-Hunt and the Ghostly Processions of the Undead, this is an exciting investigation of mythic phenomena, the infernal realms of shape-shifters, demons, hounds and night-hags. Packed full of historical accounts, spanning across Europe, he describes encounters with the Hellequin and the Valkyrie, making note of the Charivari, the Nightmare, and the Hooden Hoss. My fourth recommendation is ‘Witchcraft and Magic in the Nordic Middle Ages’ by Stephen A. Mitchell. Focussed on medieval Scandinavia, this study is a complex summary of folk-magickal beliefs expressed as living traditions, by peoples and tribes struggling to maintain their ethnicity. Mitchell tackles gender, law, society and sorcery in flux. Terms are given in English and native languages, which allows better understanding as language often defies direct translation. What is remarkable in this work, is the way the sagas and legends are brought to life in new and vibrant ways through shifting spiritualities. 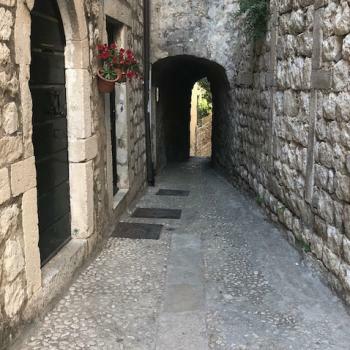 Exploring some of the conundrums that living within an archaic yet evolving belief system presents, the parallels between these medieval examples and our own in the 21st century, are astonishing. My final choice is a charming little book, ‘The Secret Commonwealth of Elves, Fauns and Fairies’ by Robert Kirk. Published originally in 17th century Scotland, this remarkable study reveals the vibrant realms of the ‘other’ that spill over into our own, creating havoc and mischief. Laced with folklore and popular superstition, the author, a Scottish minister ‘roamed the highlands of Scotland for stories of wraiths, elves and ‘other agents of the spirit world.’ His enchanting account preserves for us the nature of belief and how witchcraft traditions were absorbed into common folk practises. Nigel G. Pearson is an initiate of Traditional Craft and has been practising for nearly 40 years. He lives and works in his native and beloved East Anglia, where he jointly runs a healing and esoteric supply business with his husband. 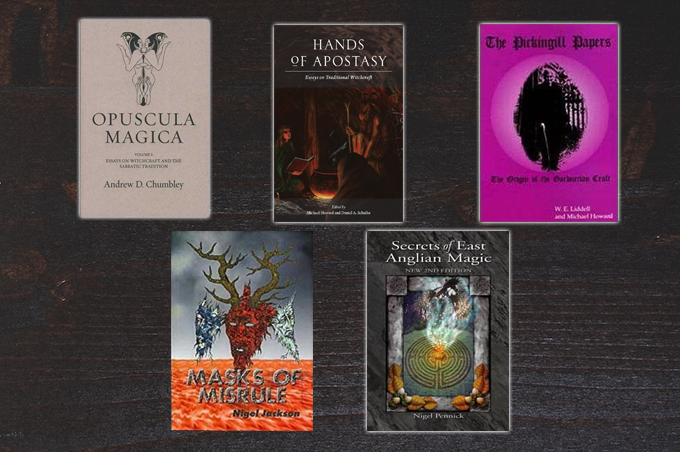 He is the author of “The Devil’s Plantation; East Anglian Lore, Witchcraft & Folk-Magic”, “Treading the Mill; Workings in Traditional Witchcraft” and “Walking the Tides; Seasonal Magical Rhythms & Lore”, all published by Troy Books. He has written articles for many magazines over the years, including the late, lamented Cauldron and is a contributor to the anthology, “The Museum of Witchcraft, A Magical History”, celebrating 60 years of the Museum of Witchcraft & Magic in Boscastle, Cornwall. Traditional Witchcraft; A Cornish Book of Ways, by Gemma Gary. 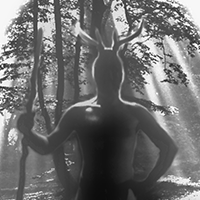 Masks of Misrule; The Horned God & His Cult in Europe, by Nigel Jackson. Liber Nox; A Traditional Witch’s Gramarye, by Michael Howard. The Flame in the Cauldron; A Book of Old-Style Witchery, by Orion Foxwood. Witchcraft for Tomorrow, by Doreen Valiente. I have read and gained in knowledge from so many books in my time, that picking just 5 was a bit of a task. 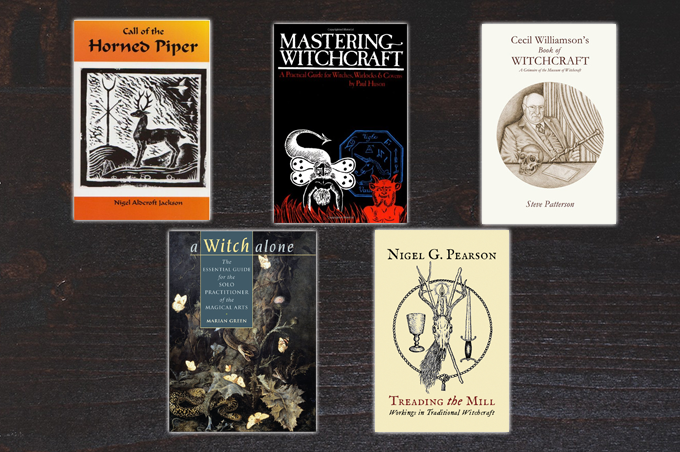 In addition to these books, I would like to mention also the works of Nigel Pennick and George Ewart Evans who, whilst not being Traditional Witches, have added greatly to my store of learning and knowledge. Dion Fortune’s novels were also my go-to when I wanted some magical experiences described in detail, particularly The Secrets of Dr. Taverner for a bit of raw Nature magic. However, on to my “top picks”. Gemma Gary’s “Traditional Witchcraft” is now a modern classic, due to its detailed but easily understood instructions on practical Craft. That it details the magic of Cornwall is both fascinating as a glimpse into that area, but also more than equally applicable in other areas also. Her rites are based not only on traditional lore, but her own, practical experience, which makes the book only the more valuable. As a devotee of the Horned Master, I was delighted to come across Nigel Jackson’s small but muscular volume many years ago. There is little written specifically on the Male Mysteries and “Masks of Misrule” gives a potent insight into the workings, ritual, practice and philosophy of several different aspects of the Witch’s Devil. A considered and thoughtful book that would well repay some time studying it. I still refer back to it often. As a run-through of the Traditional year, Mike Howard’s “Liber Nox” contains much useful and “scene-setting” information. It is more than vital to know what is happening in the world around you at any time of year and this book gives the whys and wherefores of seasonal traditions. Old folk rites abound and not a little occult lore on their meanings and use. While the rites given are for group use, they are easily adaptable for fewer numbers. 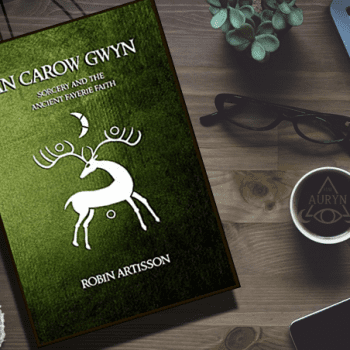 Orion Foxwood has written a very personal book in “The Flame in the Cauldron”. It details a lot of his own experiences in learning about the Craft and gives useful and practical examples drawn not only from his own Appalachian heritage, but also from teachings he received from Old Craft mentors from England. It is a curious mix of lore and practicality, but all the more interesting for that. Many people tend to forget that Doreen Valiente was not only Gerald Gardner’s priestess, but was also an initiate of several Old Craft Traditions as well. Whilst “Witchcraft for Tomorrow” might ostensibly appear to be about Wicca, it contains a lot of lore and descriptions of magical practices derived from those other traditions that she knew and practised. 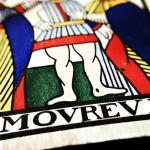 Modern Crafters could benefit greatly from reading between the lines in this one! Lee Morgan is an occultist, independent scholar and novelist living in Van Diemen’s Land, Australia. 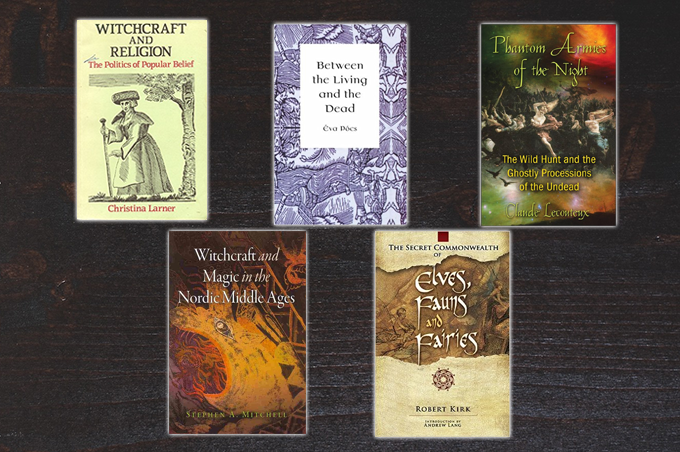 Current works to date include three novels, (the most recent of which is Unless They’re Wicked), a non-fiction introduction to the field of traditional witchcraft studies, A Deed Without a Name, and contributions to the Three Hands Press anthologies Hands of Apostasy and Penumbrae. Traditional witchcraft and the faerie faith have occupied Lee’s attention from an early age and he has held office in his magical community for two decades. Scholarship and creative fiction continue to allow him to speak, in some suggestive way, of things that cannot otherwise be spoken. Lee’s upcoming work Sounds of Infinity, appertaining witchcraft and the faerie faith, will be published by Three Hands Press late 2017. 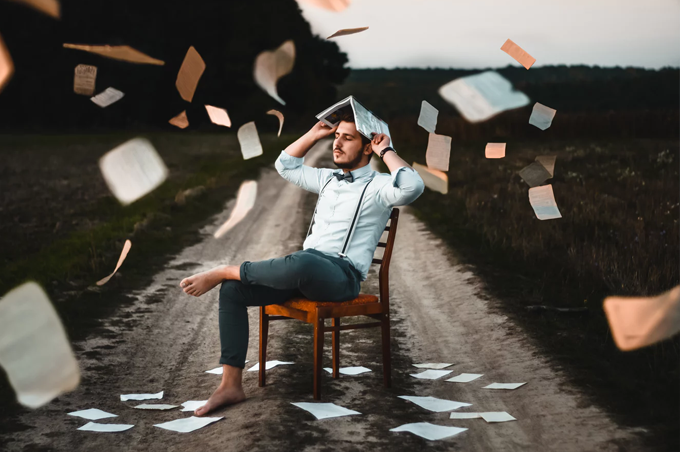 Basically I’ve chosen things that I think initially position a new reader to feeling the ambience of traditional craft, then to understanding it better and then on to taking practical steps to learning non-Wiccan forms of witchcraft practice. However, because what I’ve chosen do not belong to a particular tradition of Old Craft it would be arguable to some if they class as such. But in my mind these are the closest things on the market to position a new individual both at the ‘heart, head and hands’ levels. Call of the Horned Piper – Nigel Jackson: Whilst there are a lot of flaws in the production of this book I have begun with it because I feel it’s concise, easy to read, and evocative of the general flavor of tradition witchcraft and pre-modern folk magic, via both the writing and the art. A total beginner needs a sense of something intuitively before they can be sure it’s a path they wish to investigate further, so I have placed these books in the order I think they should be read. Cunning Folk and Familiar Spirits – Emma Wilby: Wilby’s Isobel Gowdie book is arguably far more important but also far more complex for an entry-level person. I feel that whilst Nigel Jackson’s book gives a sense of the ambience of old world witchery this book would give the new-comer some historical context without requiring a university degree to unpack it. Communing with the Spirits – Martin Coleman: This book is aimed at the necromancer but its step-by-step guide to establishing firm, tried, tested and true working relationships with familiar spirits would serve anyone starting out from the beginning along a witchcraft path. It is neutral in terms of tradition and could be incorporated seamlessly into almost any working practice. Mastering Witchcraft – Paul Huson: I suspect many people will mention this book because it is one of the few genuinely entry-level, practical guides to witchcraft from a not-specifically-Wiccan angle. Witch’s Workbook – Ann Grammary: This vintage gem is like an extension of what Mastering Witchcraft offers, in that it provides a complete system of working magic which is somewhat more idiosyncratic than the other text, but still relatively free of a slant linking it to a specific tradition. There are a lot of good charms in this book but most importantly I feel that it teaches them from an angle that allows for the Craft to maintain its mystery, and emphasizes the importance of sacrifice when it comes to wrangling with Fate. Grammary makes it clear that the path is hard, requires practice, and that you don’t get anything for nothing. There are of course a great deal of very important texts out there which should be read to better understand the modern history of traditional witchcraft, what the various living sodalities have contributed to it, and a wealth of primary source material, but I feel that what a new-comer needs most are practical things to try before they will know whether to investigate further. Christopher Orapello is an artist, witch, and animist with a background in western occultism, ceremonial magick, Freemasonry and has been on his journey for over 20 years. 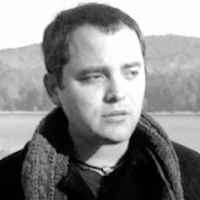 He co-hosts the podcast Down at the Crossroads with his partner, Tara Maguire, and is a signature artist with Sacred Source (a leading producer and distributor of ancient deity images in North America), and the c0-author of Besom, Stang & Sword: A Guide to Traditional Witchcraft, the Six-Fold Path & the Hidden Landscape. After a growing desire for a more locally based form of witchcraft, he and his fiancé Tara Maguire founded Blacktree coven in 2014, where they set out to forge a modern approach to Traditional Witchcraft for a new era of praxis. 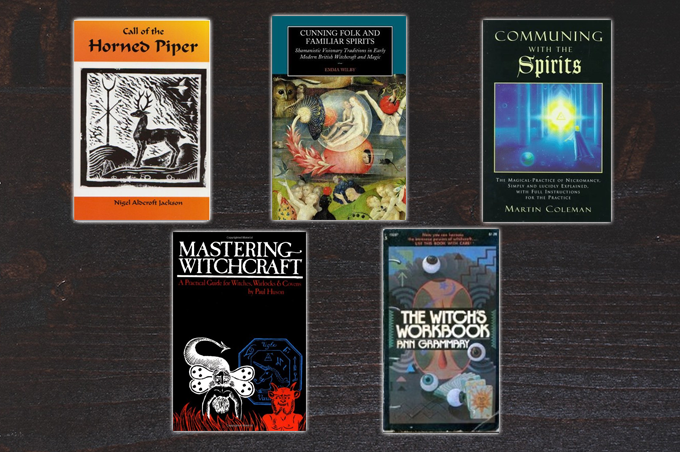 Selecting five books for someone to start with when pursuing a path in Traditional Witchcraft is a tough thing to do as there are a number of introductory texts along with a plethora of academic and anthropological sources to visit. However, with that said, the following five books are sure to get someone off to a fantastic start. To reset any foundational understandings about witchcraft history, I recommend A History of Witchcraft: Sorcerers, Heretics, & Pagans (second edition) by Jeffrey B. Russell and Brooks Alexander. This book is a good solid overview and has a college textbook feel to it, while still being an enjoyable read. Part one is especially pertinent to anyone embarking on the path as it deals with witchcraft and history before the modern witchcraft revival of the twentieth century. For a historic perspective on belief and practice, Cunning Folk and Familiar Spirits: Shamanistic Visionary Traditions in Early Modern British Witchcraft and Magic by Emma Wilby is a great place to start. Although it is an academic book, Wilby’s writing style is highly engaging and informative. Her book will also add a deeper layer to one’s understanding of witchcraft history through her analysis of folk beliefs and witchcraft trial records. To lift the veil and to re-enchant one’s local landscape I recommend The Eldritch World by Nigel Pennick. A slim book that is packed with excellent information on the unseen realms of the world one lives in and is sure to flip their perspective on the world around them. For an understanding of what relates to modern practice in regards to Traditional Witchcraft, one should go right to The Roebuck in the Thicket: An Anthology of the Robert Cochrane Witchcraft Tradition by Evan John Jones and Robert Cochrane, edited by Michael Howard to find out where the current interest in Traditional Witchcraft began and what devil brought it forth. Along with his letters, this is an indispensable book when it comes to Robert Cochrane and his views and approach to witchcraft and the modern movement of the time. My last and final recommendation is The Devil’s Dozen: Thirteen Craft Rites of the Old One by Gemma Gary. This is a great hands-on pocket book of ritual and offers the budding traditional witch a fresh arsenal of rites and ritual styles by which to shape their practice. I think if one were to read and absorb the above list of books, they’ll be well on their way to walking the crooked path.